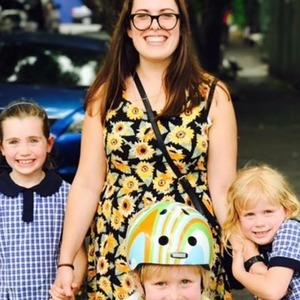 Hi mums and dads, I have recently moved back to Sydney after two years traveling abroad and look forward to getting back into babysitting and nannying. I love working with children and have been for 10 years now and have experience with very young babies to teenagers. I have completed an introduction to Autism course and a Understanding and Managing Challenging Behaviour course. I believe the techniques learnt in these courses can be used to help in situations with any children. I’ve been looking after children for over 10 years and I’m very capable with any age even young babies. I find it very rewarding when a child learns or achieves something new and I have in someway helped this process. "Kathryn is fulfilling her nanny role wonderfully! Her intuition and perception of our children’s needs is great, and her calm nature and good humour put them at ease. Both kids love her and she helps around the house too! Highly recommend her. " "Katie had sole care of our 3 girls while we were interstate for a couple of days. She followed their usual routine including taking them to swimming lessons. Kate is amazing we are so lucky to have her. " "Katie was my nanny for 5 years so I can’t say what a joy it is to have her back in town able to babysit for us again. The girls were so excited to see her. Katie is like part of our family and we will be booking her as much as possible!"